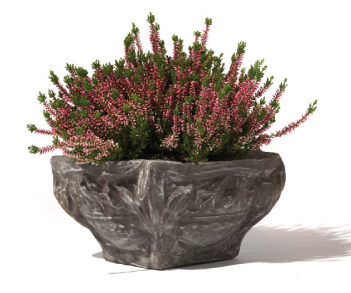 Planters are an easy way to play with greenery both inside a home and outside. They add character instead of just planting in the ground or plain pots. A go to company for beautiful products that can withstand any weather conditions outdoor is Pennoyer Newman LLC. Using marble dust and resin stone, these garden containers were created to be lightweight and weather-resistant in all climates and all regions of the country. Products are stylized after original stone resin garden pots. Pennoyer pots adorn many New York City locations such as Bryant Park, located behind the New York Public Library, the rooftops of Rockefeller Center, the streets of SoHo, the Morgan Library, and The New York Botanical Garden. I have used Emilio Robba as a resources for interior potting solutions for many years. 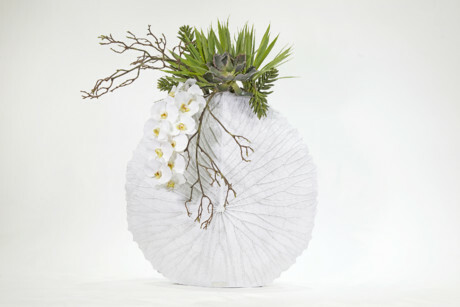 The Sculptural floral arrangements are extraordinary with a sensitivity to fashion and interior design trends. Each individual design is a work of art. Bring the outdoors inside with a long, low profile, transparent piece. 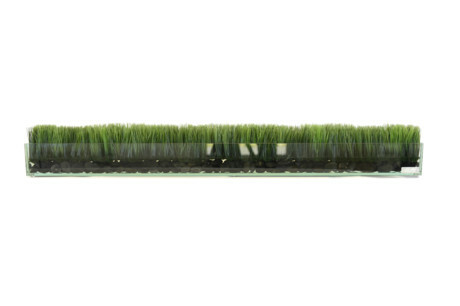 The garden grass and black river stones are exposed to show every inch of greenery. This oversized resin vase is called Lotus because the texture was molded from a giant lotus leaf. 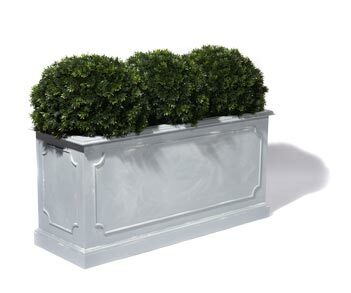 This is a signature piece of Emilio's and is just one of the many unique planters that are produced.